Sheer Dark Blue Organza Pouch with pull tie ribbons add elegance to your table setting. You can use these beautiful organza bags to hold party favors, candy or even potpourri. 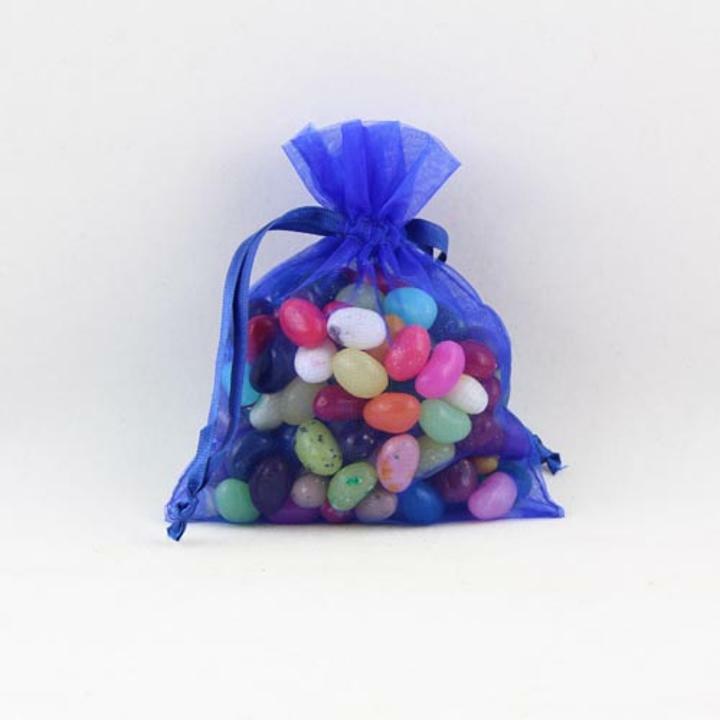 1 package of 12 organza sacks for weddings, events, tradeshows and parties. Treats and favors not included. L: 4.0 in. W: 5.0 in. H: 0.5 in.